A huge thank you to Elmer’s for sponsoring today’s post. 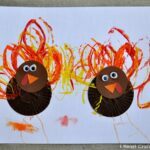 Thanksgiving wouldn’t be complete without a fun turkey craft! 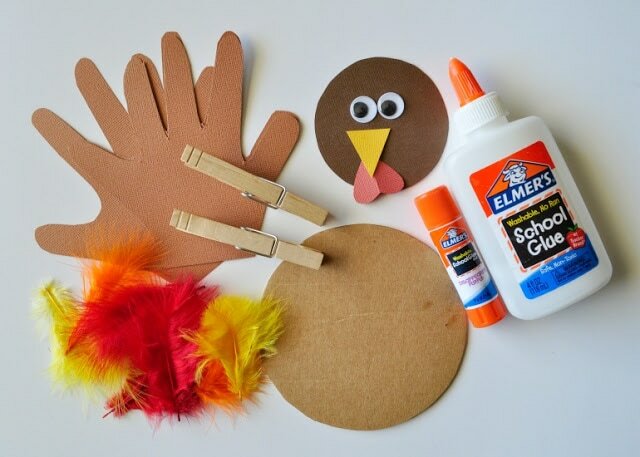 Whether you set up a crafting table on Thanksgiving Day for kids to have fun creating or make one in advance to decorate for the holiday, we have the perfect Kids Turkey Craft for you! 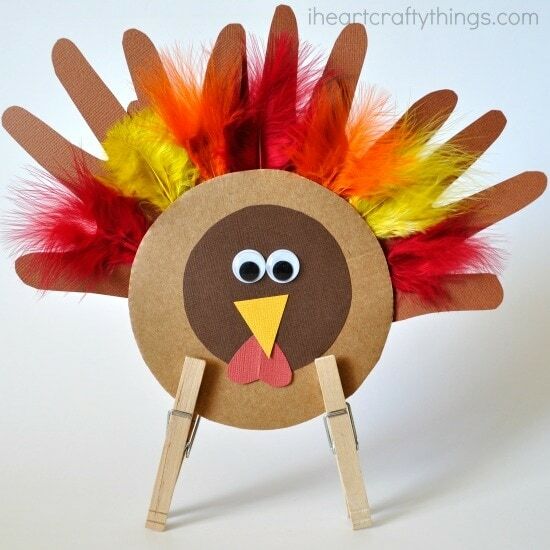 This cute kids turkey craft boasts handprints to give it some personal flair and the clothespin legs add an extra fun touch making it able to stand on it’s own. Hurry and grab your supplies and lets get our turkey crafting on! 1. Start by gathering your materials and getting your pieces ready. Cut out a cardboard circle about the size of a CD. 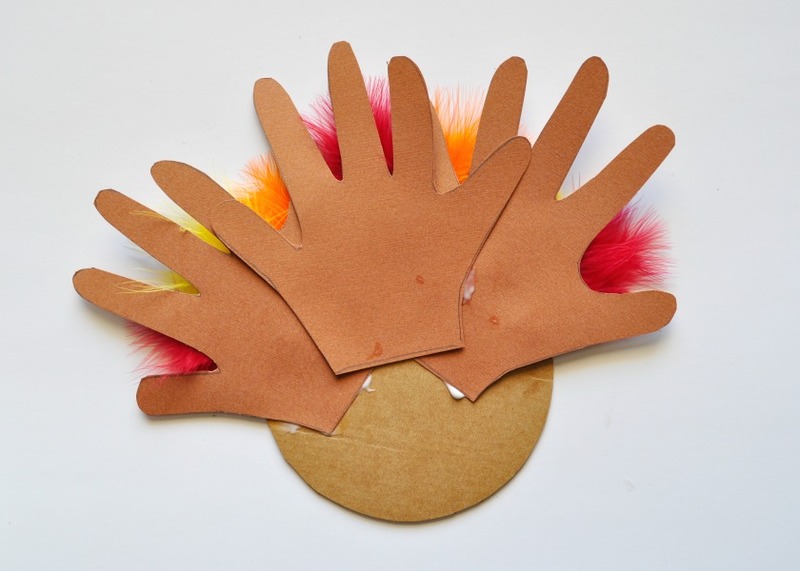 Trace your hand three times on brown cardstock paper and cut them out. Also, cut a 3-inch brown circle from your brown cardstock paper. Lastly, cut out a yellow beak and red waddle from your yellow and red cardstock paper. 2. 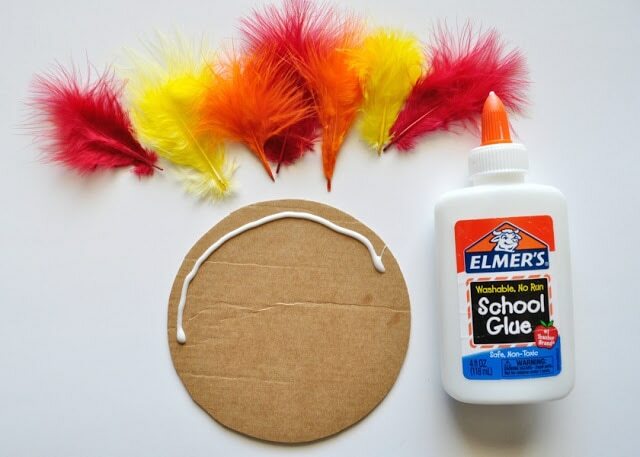 Make a line of Elmer’s School Glue on the top half of your cardboard circle and place colored feathers on it. 3. 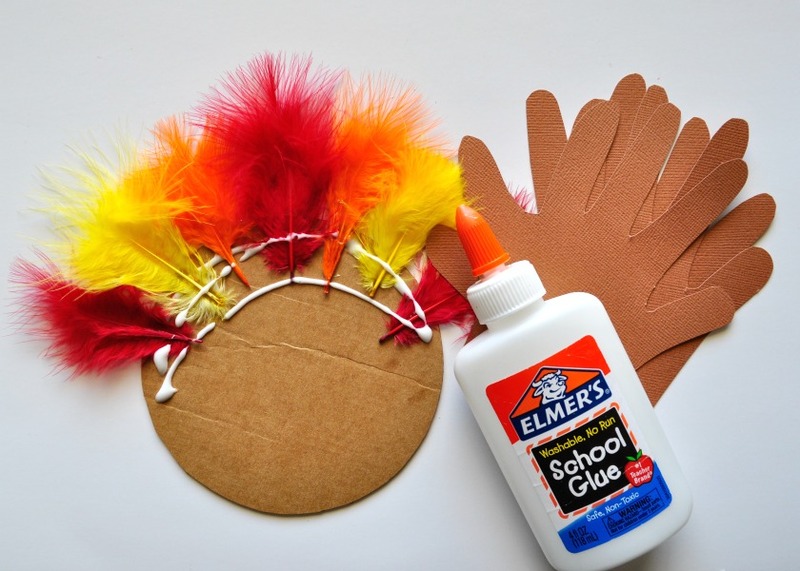 Squeeze a few more lines of glue on top and underneath the feathers and then layer your handprints on the glue. Let the glue dry before moving to the next step. 4. 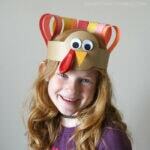 Turn your cardboard circle over and glue on your turkey face, googly eyes, beak and waddle. 5. 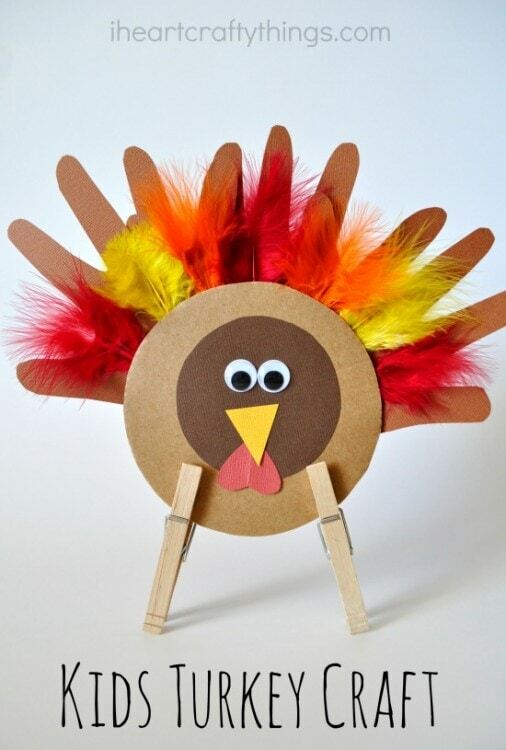 Finish your turkey by clipping on your two clothespins as legs. 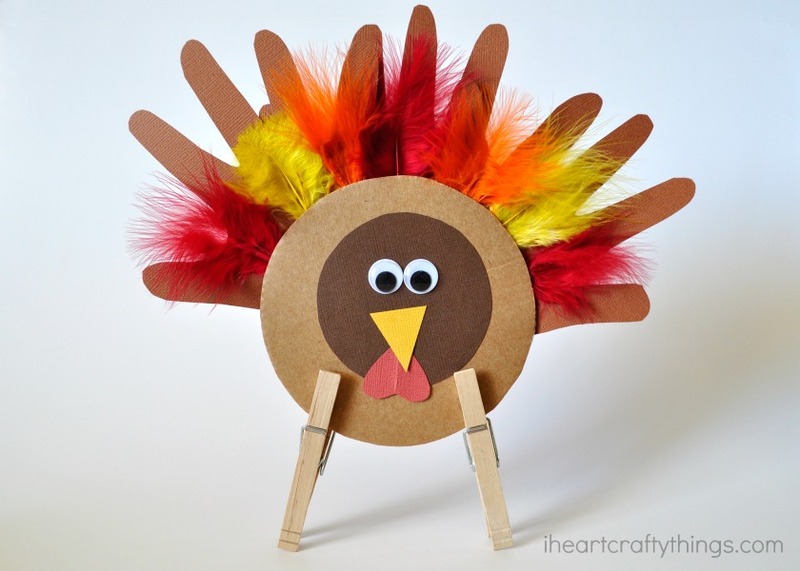 To get the turkey to stand on his legs you might need to play around with the clothespins a little to stabilize and balance your turkey. Make sure to follow Elmer’s on Facebook, Twitter, Pinterest and Instagram for more crafty inspiration. 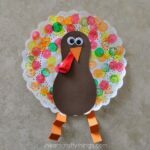 We are big fans of Elmer’s products and hope this kids turkey craft leaves you feeling inspired to get creating with your kids for Thanksgiving!